The producer of the upcoming drama “Lovely Horribly” absented herself from the drama’s press conference in the aftermath of controversy surrounding her previous remarks on the 2014 Sewol ferry accident. 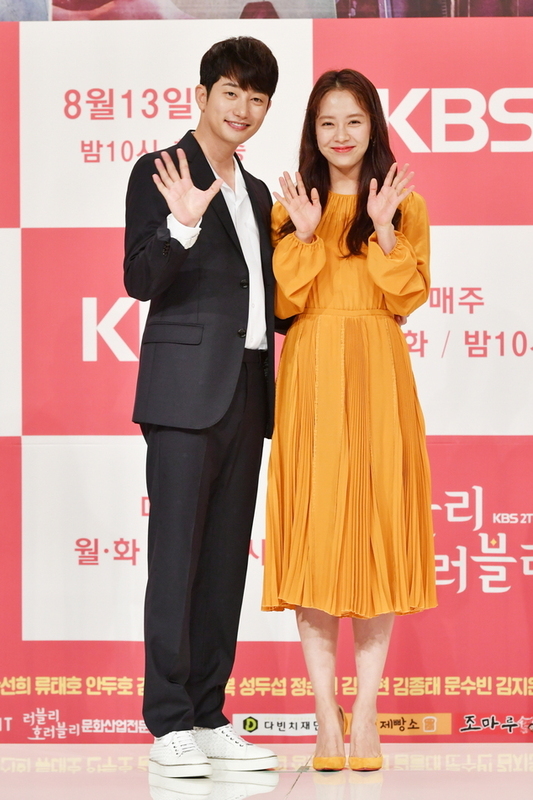 The drama’s chief producer Bae Kyung-soo, who attended the event, said that producer Kang Min-kyung had decided not to participate in the event after receiving harsh criticism from the public. “We agree that a producer not attending a drama’s press conference is a rarity. We suggested that she attend the event, but since her action has stirred a negative reaction, she decided to lie low and focus on producing the first episode of the program with a more humble mindset. Kang, who was also meant to be one of the main guests for today, felt sorry for not being able to be here,” Bae said. The accident on April 16, 2014 had led to the death of more than 300 passengers, mostly high school students on a field trip. The incident was revealed as one staff member who felt appalled by the remark had shared it in the staff’s chat room. After facing a storm of criticism, Kang reportedly apologized to staff and decided to keep a low profile. Romantic horror drama “Lovely Horribly,” starring actors Park Si-hoo, Song Ji-hyo, Lee Gi-kwang, Hahm Eun-jung and Choi Yeo-jin, is set to air its first episode on Aug. 13.